And I’ll be the third Google reference. That’s just the title from the front cover; clicking that image will bring up the entire cover which may offend the more sensitive viewer. I wasn’t quite sure what to do with it, as eBay tends to be a bit iffy on adult-y material like this, taking some auctions down and leaving other auctions for the exact same item up seemingly at random. Not that other people having this same thing on eBay would have been much of a problem…the only Google references I could find at first were some webpages from one of the artists responsible. However, you can now find this review from pal Nat, since I avoided the whole eBay issue by selling the darned thing to him. 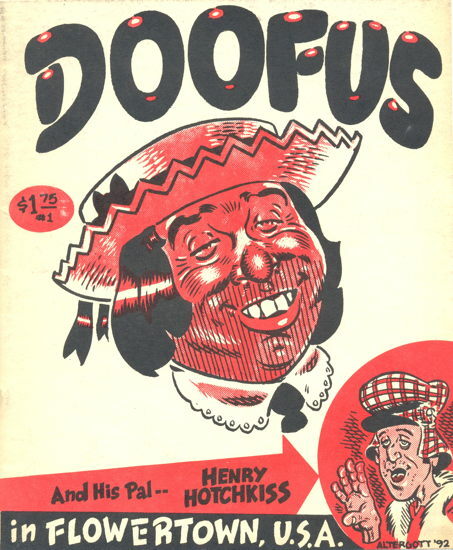 …prior to Fantagraphics unleashing the Doofus-verse across an unsuspecting world. It’s in a squarish format, about 8 by 8 inches, with a stated print run of 350 copies. I apologize for the extended communications blackout over the last week and a half. A combination of a lingering illness and extra hours/projects at the new store have left me with little blogging energy in the evenings. Thank you for sticking around and hopefully I’ll be back up to speed here sooner rather than later. 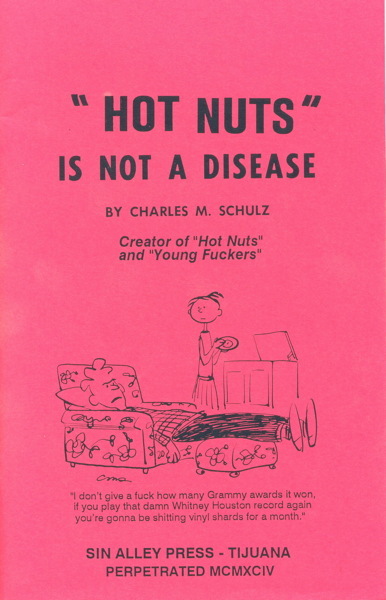 I don’t even want to think about what you came across when you Googled the term hot nuts. Well now I can’t wait until Monday’s post, since it appears DC decided to break a bunch of the predictions people worked so hard on for you over the last few weeks. Hey Mike, went to follow you on the Twitter and found I’m blocked. What did I do?